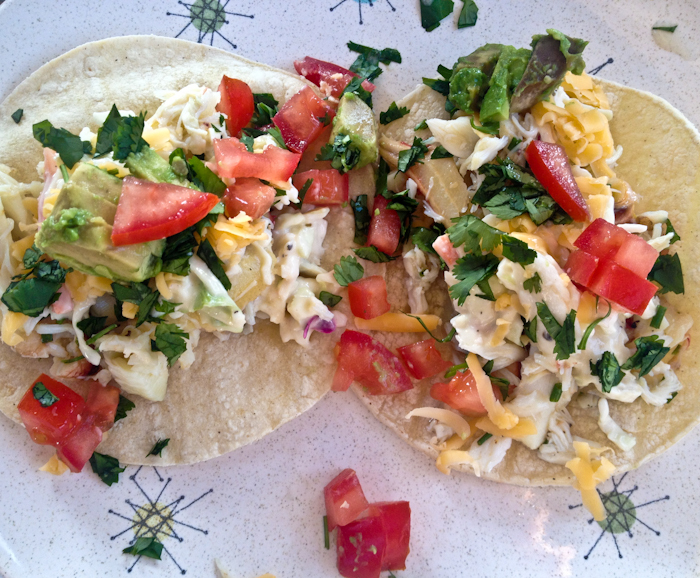 As promised, crab tacos for dinner. We sat out at the picnic table and shelled the crabs. Then I mixed in with the crab meat some fresh chives, a little olive oil, and some fresh ground pepper and lime juice. We made a little slaw with some cabbage, lime juice, and light mayonnaise, and topped the tacos with cilantro, diced tomato, a little grated cheddar and avocado. They were SO GOOD. Glad we had them separate from the mint juleps. Previous Post Happy Kentucky Derby Day!